Shifting the base of any business online has become more than lucrative for most organizations, and the profit multiplies several folds when the entire purpose of the business is to sell products and services online. Albeit, to maximize the benefits from your website the essential thing that you will need is a proper website that is not only functional and flexible but also pleasing to the eye. All these features work together to create an impressive experience for the online buyers, but even though you might have all these things down, there are still chances that your website will not grow up to its full potential if it does not support something as basic as WooCommerce. WooCommerce is one of the most popular eCommerce plugin available for WordPress, and the best part is that it is entirely free to use. The plugin is beautifully integrated with WordPress and lets store owners and developers control almost every aspect of their store effortlessly. The good news is that there are enormous premium WooCommerce Themes as well as free WooCommerce themes available online, but this very pro does come bundled with a little negative repercussion, that is, it becomes very hard to pick the right one that just works for your website. 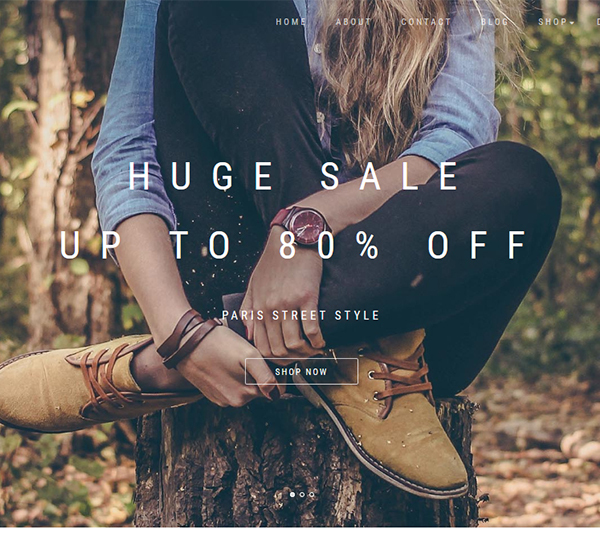 In this post, we have tried to eliminate just that by handpicking only the 35 Best Free WooCommerce Themes that will sure make your online store outshine among the rest of competition. 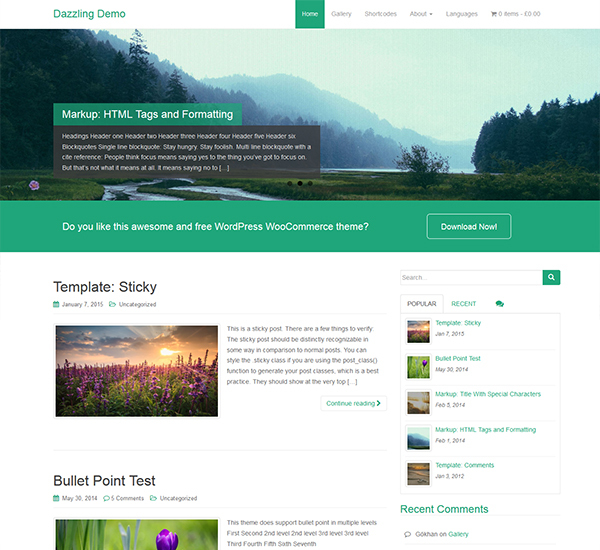 This theme is packed with support for a variety of plugins including WooCommerce, Contact Form 7, WPML, WordPress SEO, Fancier Author Box, and more. 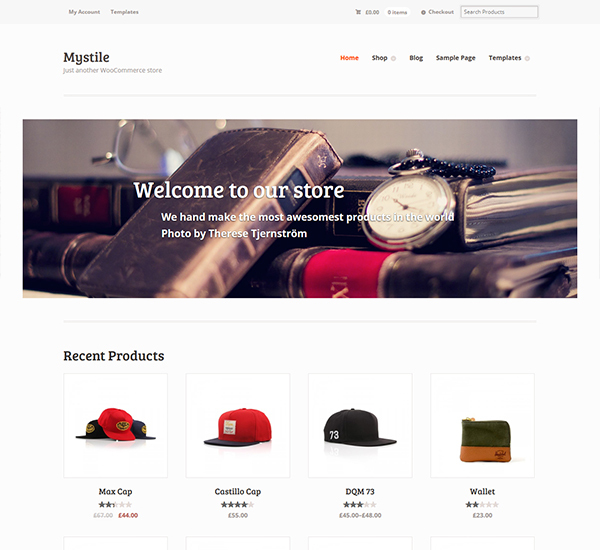 Add to all that a clean, modern, flexible and responsive design and you have one of the best free WooCommerce themes. Bundled with plenty of optimization option and color style that you can choose, this one is standard responsive, clean, lightweight with an overall simple, spacious canvas design that you can either use as-is, or you can further customize it to unique design to match your products. Although this one has been particularly designed to cater to the needs of a wedding website, it does not in any way lack features that are needed for setting up a successful online store. 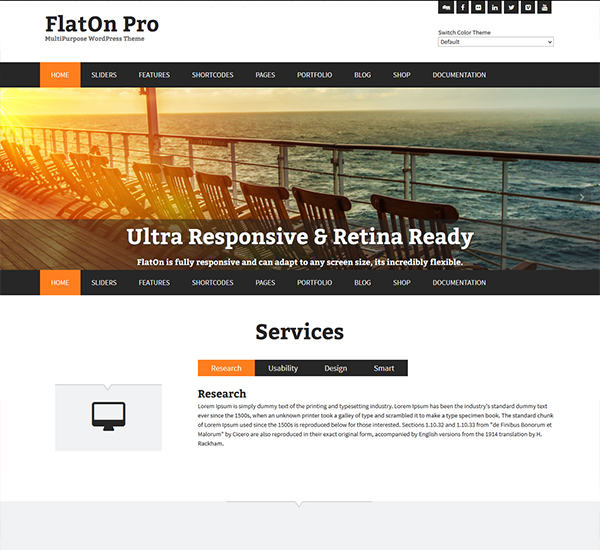 The theme has a very brilliant, clean, modern and fully responsive design on top of BootSrap 3 framework core that just makes everything that much smoother. 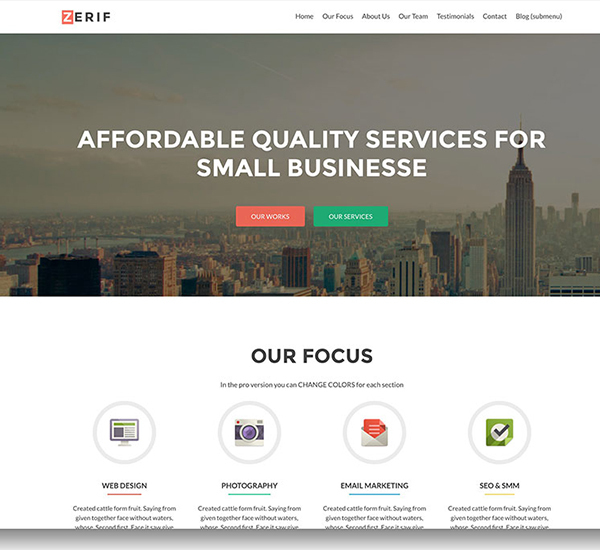 A stripped down version of the famous Zerif Pro theme that essentially gives you access to all the basic features that you will typically need to setup a successful online business. The theme is multi-purpose, fully responsive and in all its glory probably the only theme you will need to maximize sales on your website. 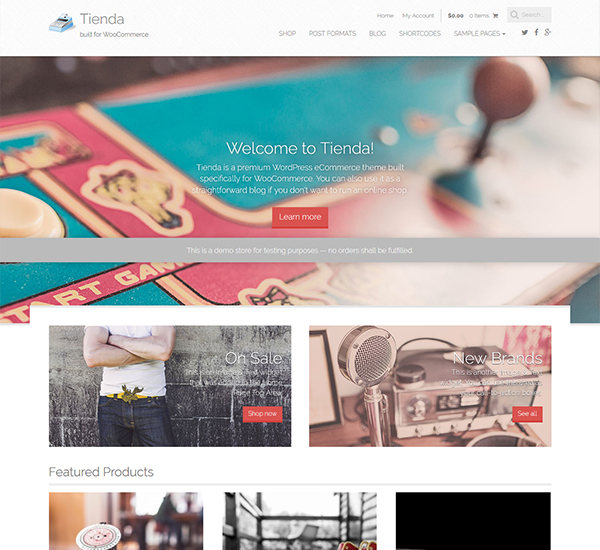 A fully loaded, feature a packed theme that comes integrated with WooCommerce and a fully functional customizer. 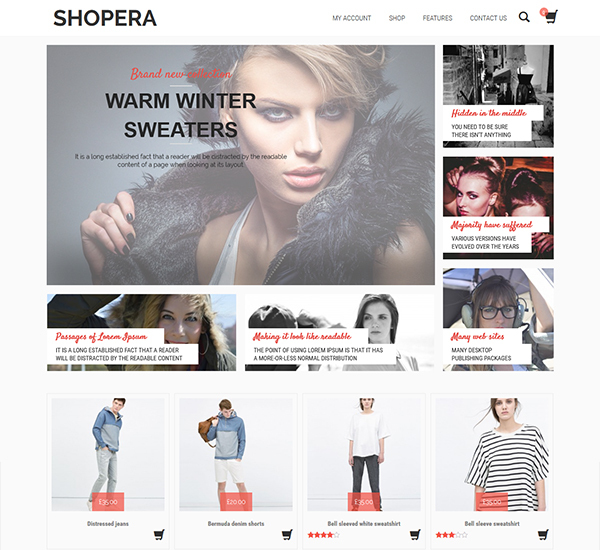 The theme is uber-cool with its design, features and ease of usability in addition to having several layouts, widgets and color options and many other things that will allow you to customize your shop to the fullest. 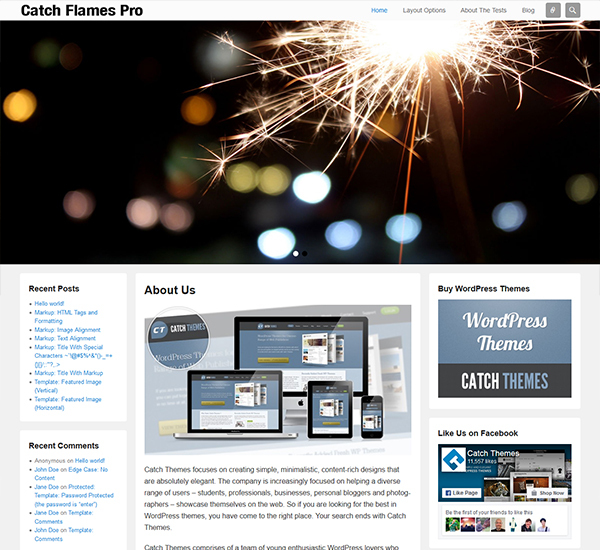 And did we mention that the theme is fully responsive, SEO friendly and super fast to load? Designed with Bootstrap 3 framework this one looks fabulous on any device you throw at it including desktops, laptops, tablets, smartphones and other mobile devices. It also has plenty of other features that make it stand out from the rest of the crowd, some of these include awesome widgets and full-screen slider. 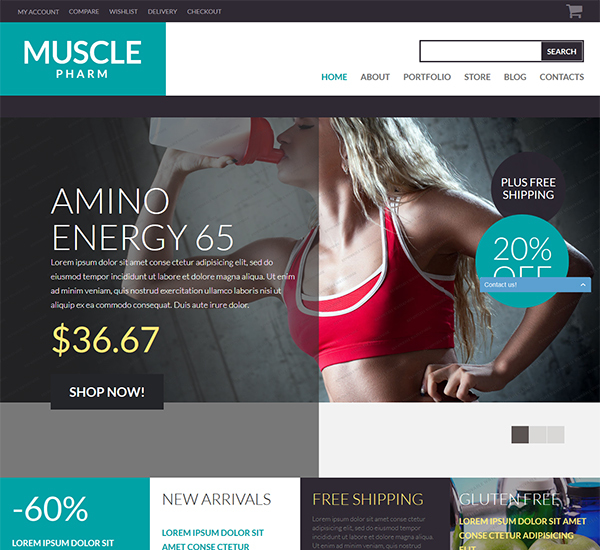 With all these features and a lot more, the theme is perfect for personal and corporate websites in health, fitness, education, finance, business, travel, web design, marketing or any other niche. 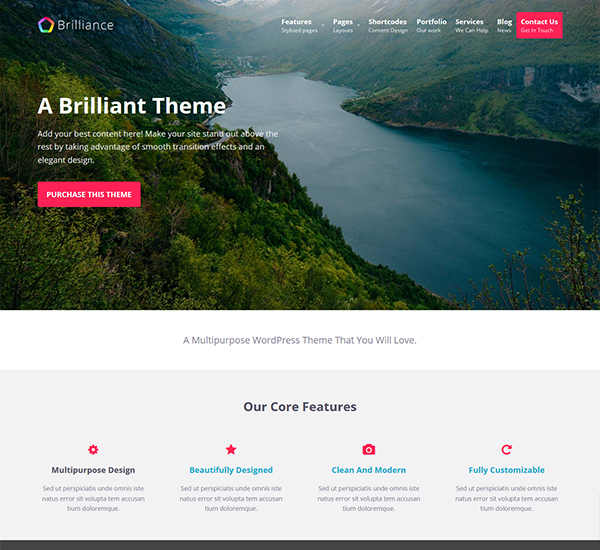 Simple and effective are two words that sum it up for this eCoomerce free theme that is full of custom features like a custom front page, fonts and color options, two menus, a slider for the header and much more. ShopIsle does all the work without wasting time with all the bragging. Simply put, it just gets the job done! Period. 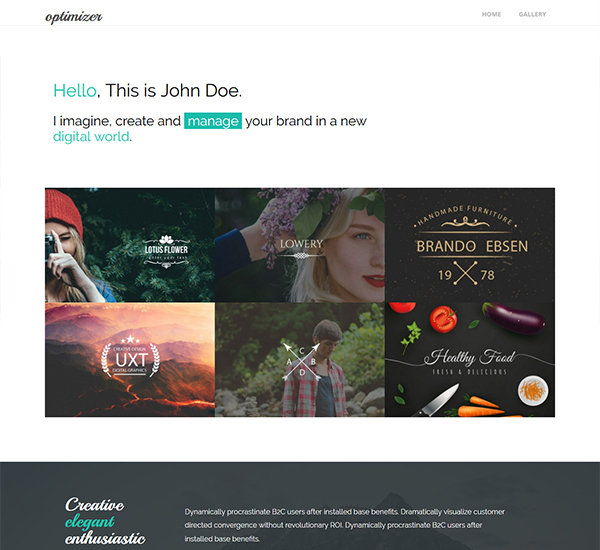 Get access to the epitome of personalization with this theme that brings a lot to the table for free. The theme gives you access to one-page setup that can be further tweaked to achieve the personalization you have ever wanted. And because it is made using BootStrap framework, your website will look splendid on any device. An utterly minimal theme that has a clean and modern vibe to it plus a mobile friendly design that will make sure that you do not lose traffic from anywhere, irrespective of the type of devices your visitors are using. 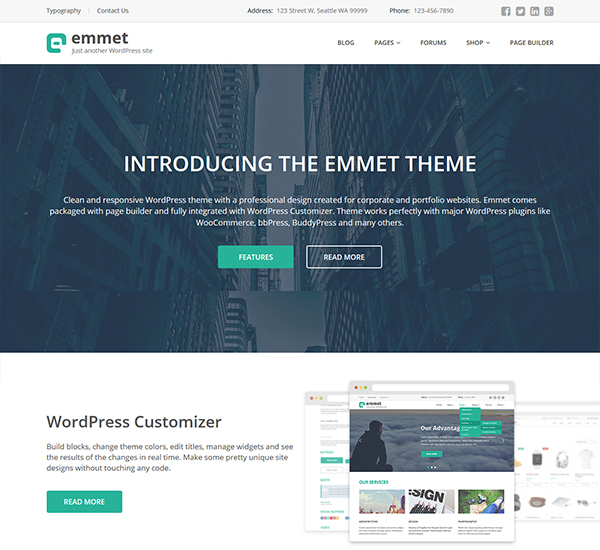 Inbuilt with page builder and fully integrated with WordPress customizer Emmet breathes professionalism that is suitable for both corporate as well as portfolio website in addition to creating a subtle online store. Coming with support for both portfolios and services, this one can be used to portray both of these extremes while mostly maintaining a strong and lasting impression online. 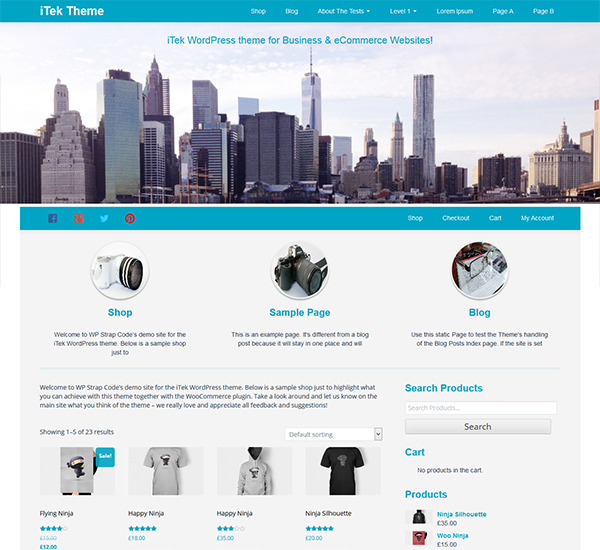 This one is probably the most feature-packed free WooCommerce WordPress theme that you will ever find. 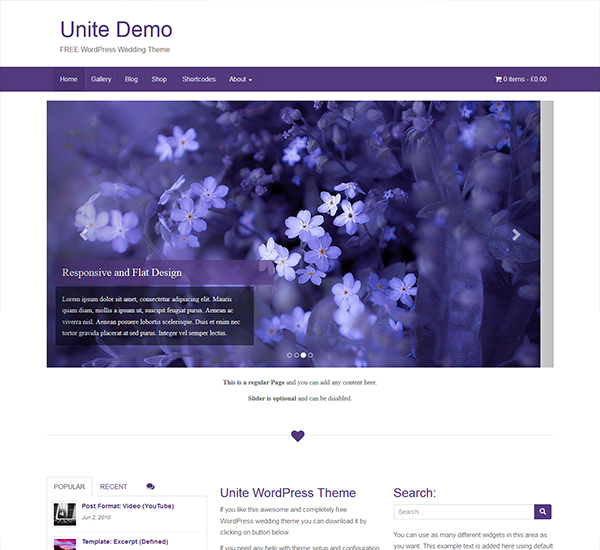 Some of the many features that this theme gives you access to include beautiful design boxed/full-width layout, highly configurable home page. Apart from these, it comes with a product slider, advanced wishlist, Featured product show list, YouTube video integration on popup banner, multiple category display layout, product and post search. Some other features include promo-ticker, payment/partners logo showcases, call to action, blogs on home page, testimonials, 4 sidebar options, typography option, fully responsive, browser compatible, bbPress compatible, CSS3 Animation, Translation Ready, RTL support, SEO friendly, fast loading. FlatOn follows the latest trend of flat design and while it does so it does not compromise on the overall elegance and functionality. Featuring two different color schemes, skeleton framework for grids that keeps minimal CSS and style sheets that are generated through SASS, this one is best suited for Corporate/Business/Blog sites and the best part is that it also supports Jigoshop eCommerce. Make powers over 60,000 worldwide, and there is no reason why you shouldnâ€™t benefit from it too. The theme has been intricately crafted with elements that took over nine years to master, and it has been refined over forty-seven hundred times since, if that doesnâ€™t speak for its effectiveness and uniqueness, then I donâ€™t know what will. Supporting all the famous plugins like WooCommerce, Yoast SEO, WPML, and Contact Form 7, this professional theme is all set to bring a little bit of shine to your corporate website or online store. 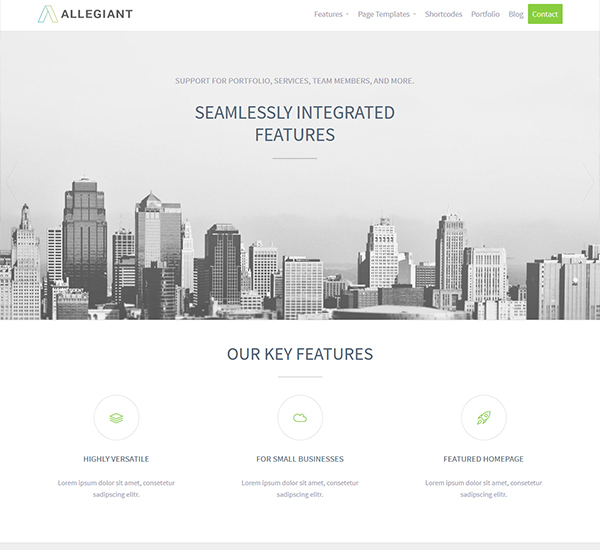 The theme also supports a full homepage slider, feature blocks, portfolios, services, team members, and even testimonials. 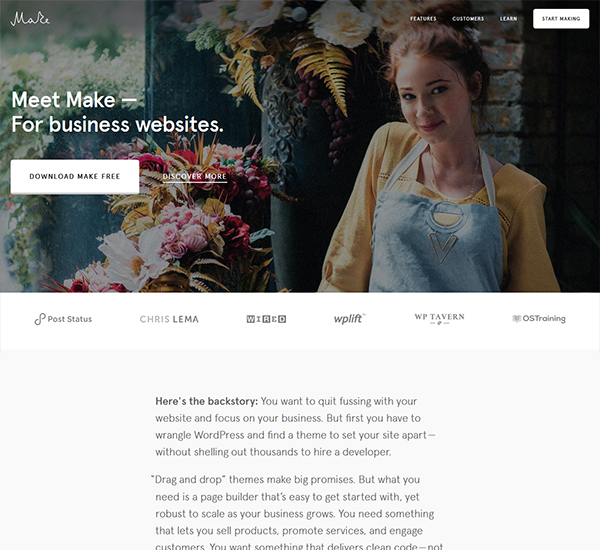 This theme will give you full control over layout and design of your website that will let you showcase your products in the best possible way. Some of these include Retina-ready images, full-width slider, great gallery, animations, transitions and parallax effect. The theme is perfectly designed with attention paid to every intricate detail and with latest techniques in design and coding. 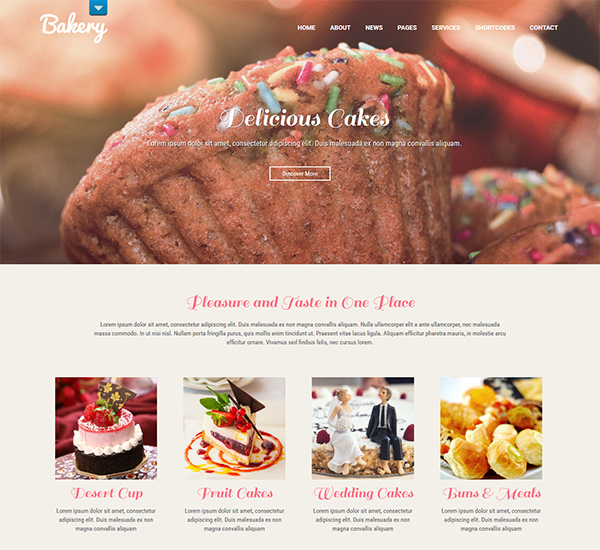 If you are looking for something for your bakery and to sell cakes, food, pastries or create a website to represent your cafe, restaurant or coffee shop then this is the one for you. The theme is fully responsive and Google Mobile friendly and super fast to load. 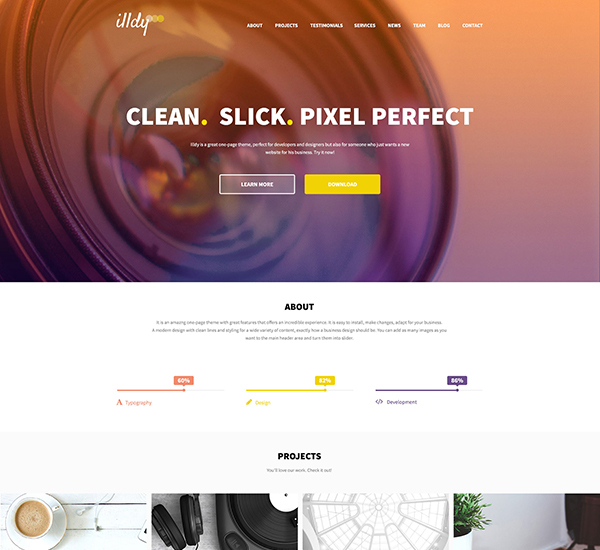 You can also change the colors, background, text and slider to make your website unique and beautiful. Compatible with all the popular plugins including WooCommerce this one uses three column layout as the default layout which can then be changed to two columns or even one column if you so desire. 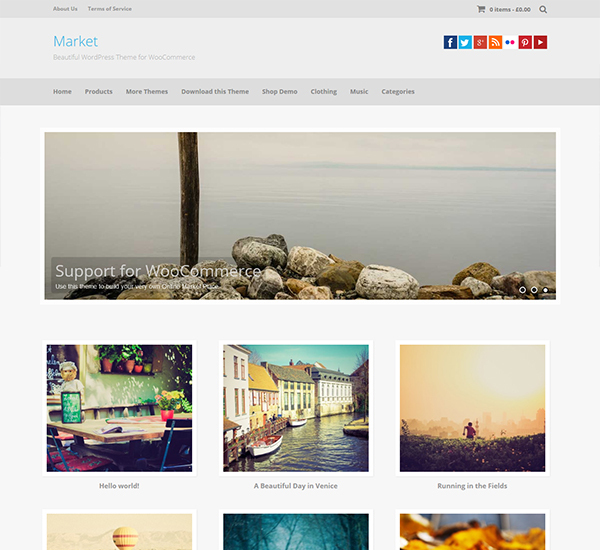 The theme gives your website a wider, bigger and luxuriously spacious look. Another perfect theme for online stores that can be used for multiple stores efficiently without compromising on the overall elegance and beauty. 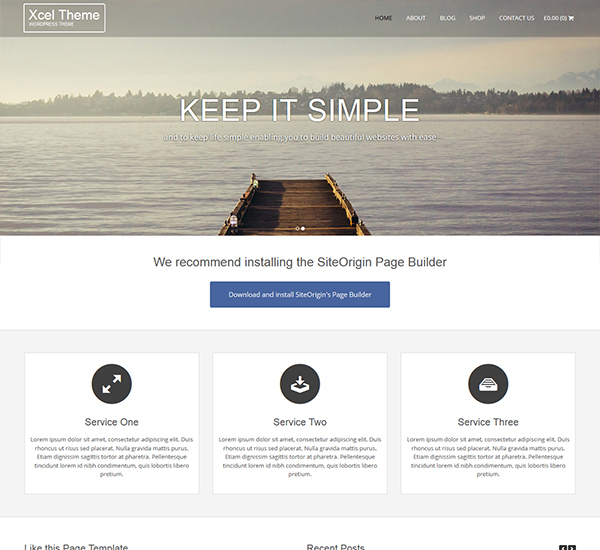 Sell products instantly using the themeâ€™s inbuilt support for WooCommerce plugin while also creating pages and layouts using the themeâ€™s in-built SiteOriginâ€™s drag and drop page builder and Xcelâ€™s multiple page layouts. 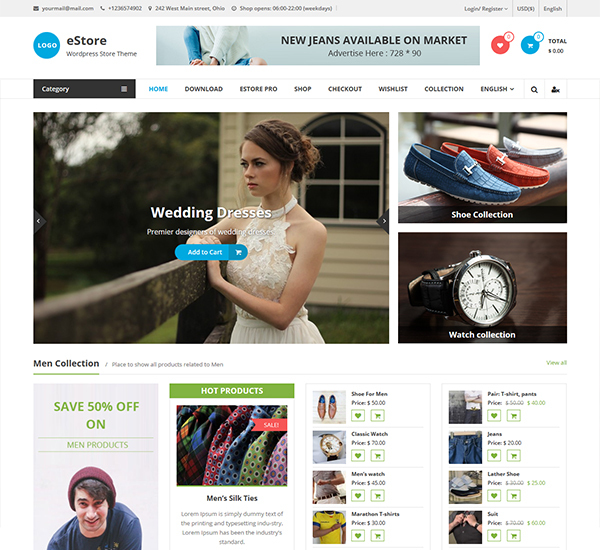 eStore will make attracting customers and maintaining an online store a breeze with all its form and functionality. It does so by providing full support for WooCommerce and YITH WooCommerce Wishlist plugin. 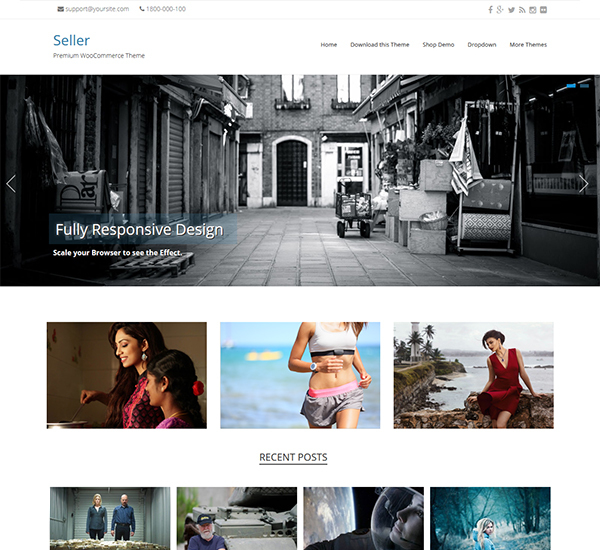 SEO friendly and also user-friendly this theme also has a Maintenance Mode feature, Beautiful Gallery feature, Custom CSS feature, Import/Export feature and is fully compatible with Woocommerce and Contact Form 7 Plugin. Ajax pagination feature means that you can navigate through posts without page refresh. Built specifically for eCommerce this one supports WooCommerce for maximum sales revenue and better product management and while it does so its responsive design means your website will look great on any device, including all the mobile devices. The theme also gives you access to tons of great features and layout possibilities and that, besides, the smooth browsing experience will sure make your customers come back for even more. With over ten custom widgets this one will let you create custom layouts that will eventually let you feature your products in an elegant way. The beautiful design and elegant style make it perfect for fashion, digital, jewellery and cosmetic stores. 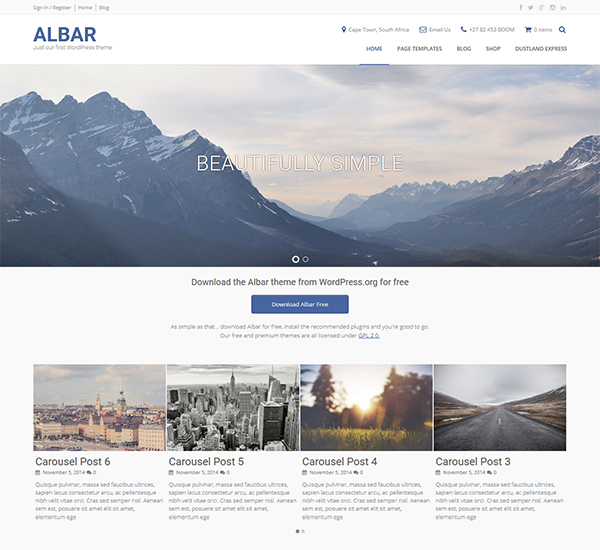 Integrated with some of the most powerful and popular plugins like WooCommerce, Page Builder, Contact form and more, Albar is fully responsive and can be used as a business website, portfolio website, online store or a simple blogging website. Featuring pixel perfect graphics and design, Activello also comes with several custom widgets and full-screen slider that will make your products pop. 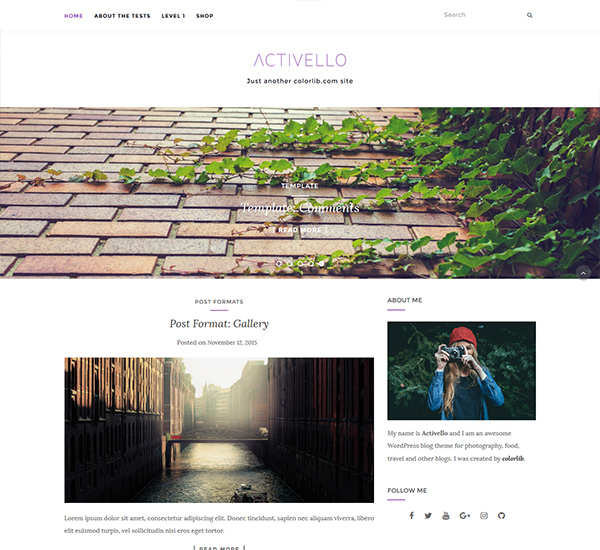 The theme is very clean and minimal and can thus be used for food, travel, adventures, photography, personal, fitness, corporate or any other excellent blog. 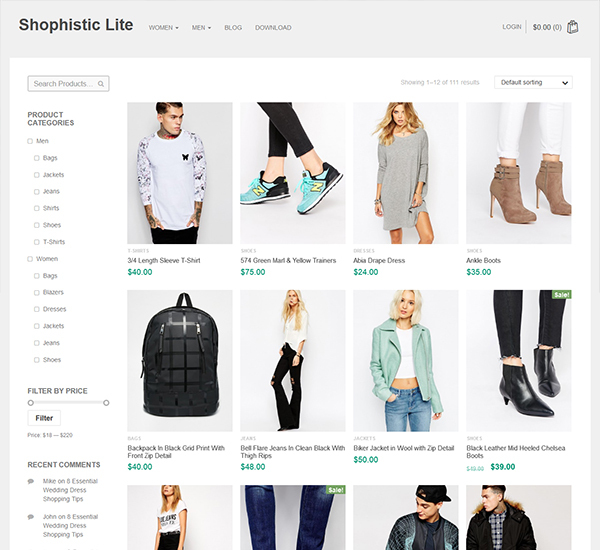 Shophistic Lite lets you make an effective online store within minutes without demanding any prior coding knowledge from you. 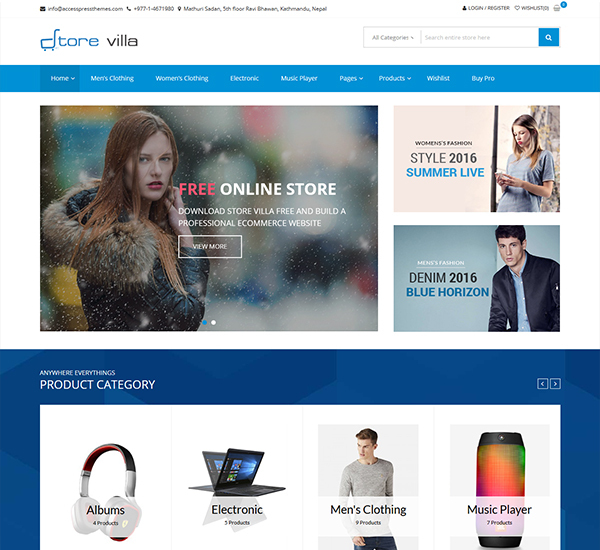 The theme is perfect for any type of online shop and presents an overall beautiful, unique and fully responsive design. All the content and shop pages of this theme have been beautifully designed to sync with the overall elegant feel of this theme. 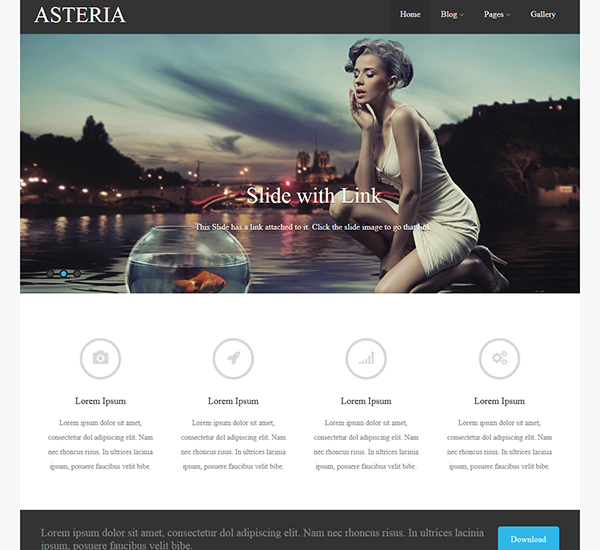 The theme has pretty minimalistic design on top of some amazing CSS powered animations and is also fully responsive. 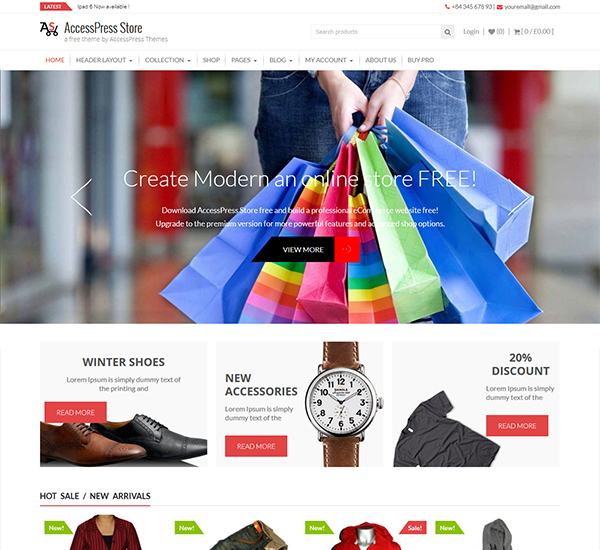 Designed to work with WooCommece, this theme is probably the finest free eCommerce theme you will get your hands on. All the elements combine to give your products most professional look while the loaded features add to the overall functionality and elegance of your website. 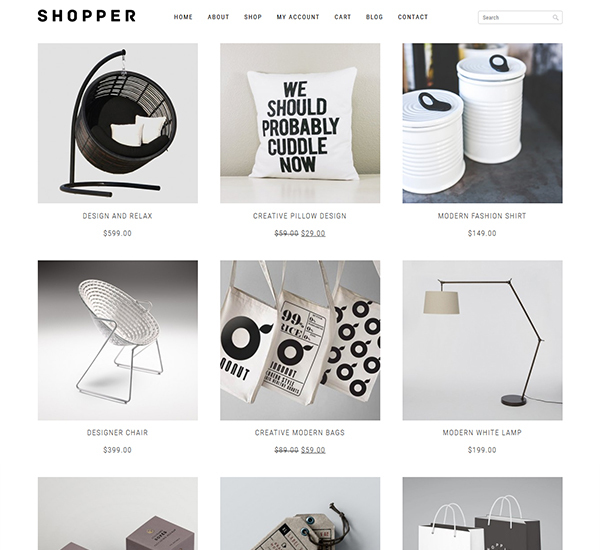 Shopper is one of those free WooCommerce Themes that just simply get the job done without confusing you with all the jargon and peculiarities you usually would have to go before establishing a successful website. 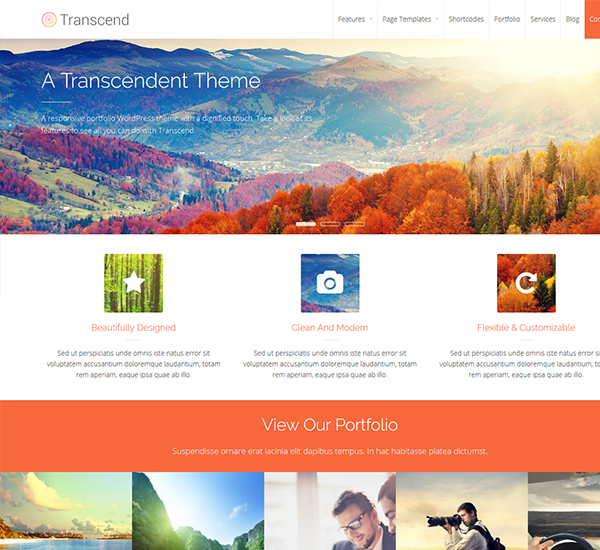 A theme that is so rich in features, functions and style that it sure will give many of the premium themes a run for their money. The theme is highly customizable with unlimited color variations, several widget areas, flexible featured slider and much more. Choose and customize each element of your website live with this themeâ€™s Live customizer without having to type in a single line of code. The theme comes with 2 site layout: Full width & boxed, Beautiful image slider, easy Logo upload, 600+ Fonts, powerful theme options, Custom CSS Field & lots of Color options. 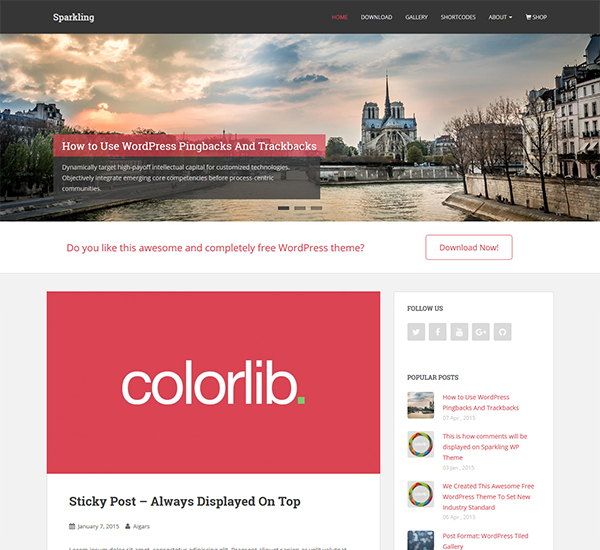 A modern theme with clean and great design in addition to crisp typography, blog section, slideshow ribbons, and beautiful animations. The homepage looks brilliant with a touch of magazine style where the customers can review products. Build a successful online store in any niche or across any business. 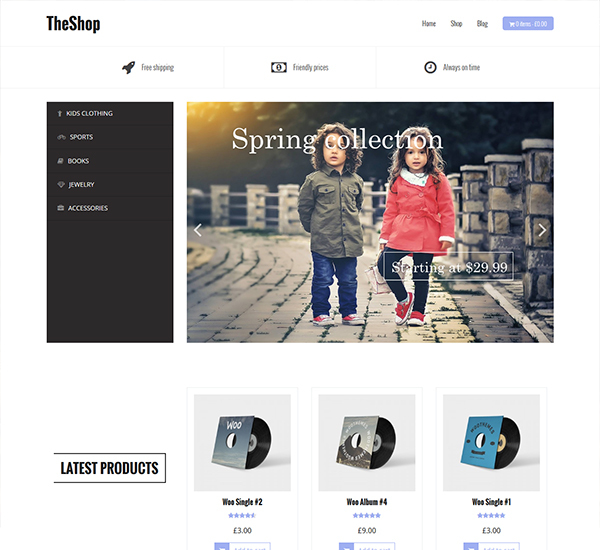 Some of the features that come bundled with this theme include four menu locations, 2 Widget areas, 3 Custom Widgets, Custom header with Parallax effect below the top menu, Some cool transition effects, Support for custom background color/image, WooCommerce support and bbPress support. How many free WooCommerce Themes, You have downloaded from this list Or Do you know any other Free WooCommerce Theme that should me here in this list, seed us via your comment. Awesome collection!! You’ve picked some great themes here. I am just in love of some of these themes. 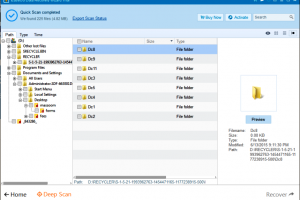 I have used AccessPress in some of my projects. Brilliance and my style is among the most best WOO themes that i have ever experienced. 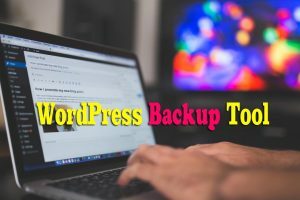 Your article really helps me to find out which is the best WOO themes and make it sure that it really works as it has to be.